The training of native healthcare professionals whose standards of expertise grew higher over the years was done over nearly one hundred years by the six thousand physicians and pharmacists of the Colonial Army Medical Corps who were distributed across all continents (with some four hundred of them in 1900 simultaneously working on the field of action, to eight hundred in 1960). These officers made a major contribution in Africa, in Indochina, in Madagascar, in the Caribbean and in the South Seas Islands by setting-up medical teams. Devising, organizing and leading these teams of workers was the responsibility of European personnel. They were able to take advantage of the help supplied by thousands of native health care professionals such as physicians, pharmacists, nurses and midwives in order to make their missions really successful. The part which these native health professionals took in the work which has been done, is of the utmost importance. It was really a successful partnership as once they were independent, all French former colonies were able to very smoothly take over their Health Services. The expansion of the Colonial Empire which had been started by the time of of the third Republic (1871-1940) brought to light the absolute necessity of training native paramedics in each territory. 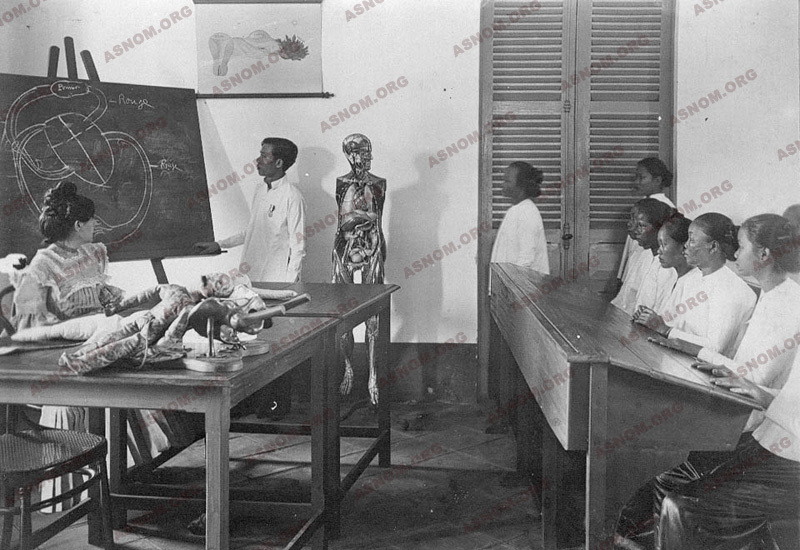 Long before health training institutions could be built, in the early nineteenth century Naval medical officers acted on their own as trainers and later in 1863 they opened a medical academy in Pondichery. In Africa, Madagascar, Indochina, the French language had to be taught first before contemplating any other kind of teaching. At the turn of the 20th century, without any available official population census, about two million people are reckoned to have been living in Senegal which is half as large as France. There they spoke more than a dozen different vernacular languages and this made teaching the French language a time consuming task. At first at the time they were hired, native aid workers were illiterate. The physician or the pharmacist who employed them had to show them first what he expected them to do. Their training was limited to the only thing they would have to do or to the only task they would have to fulfil. It could be either about taking care of wounds with proper disinfection and bandaging or about using a microscope in a Mobile Health Unit and some of them became very skilled at spotting trypanosomes in human fluids. Later with their grammar school graduation, boys could start nurse training and girls midwife training. They were entrusted with more important responsibilities as they could sort out some patients who were waiting standing in long lines in front of outpatients clinics whom they thought could be in their sphere. 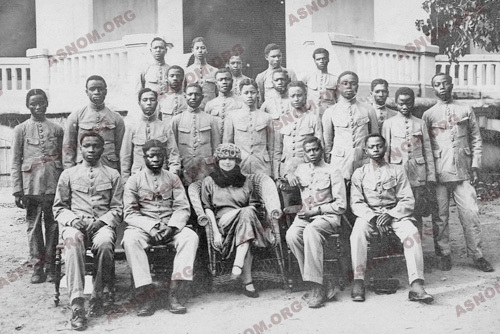 While they were in high school those who had successfully taken an examination named "brevet élémentaire" could be admitted to a native medical academy which had a faculty composed of Colonial Medical Corps personnel. There, they earned a degree either of physician assistant or of auxiliary physician or auxiliary pharmacist. Those who had completed their high school curriculum and successfully taken the examination named "baccalaureat" could apply for their admission to a medical school in France and later in overseas places where a university with a medical school was built. They could train and earn their medical or pharmaceutical degree there, then becoming fully-fledged physicians or pharmacists. While he was at the head of a team, a physician was close to his health co-workers and to other workmates as well. According to a Senegalese saying they were "trading their lice" which means that they were in very close contact with one another such were for instance a driver and "his boss". When making their rural rounds they were very supportive of each other but they were also respectful of the hierarchy and of each other's skills. They shared the same kind of life, travelling in convoys, feeding themselves alike, pushing together their vehicle whenever it got bogged down in the mud and during the heroic ages also exposed themselves together to the risk of dying of plague or of yellow fever. The physician and his team of co-workers could not be split up. After suffering together some hardships, their relationship was bound to become altogether one of friendship, of fondness and of respect. Either a nurse or a secretary was in charge of translating and this was of the utmost importance as patients had to be asked questions, and they also had to be given some information about their treatment and about prevention. The help of native co-workers was also needed to act in accordance with traditions and to respect taboos. One would be mistaken in underrating the important part taken by these native personnel in the achievements of Colonial Medical Corps. 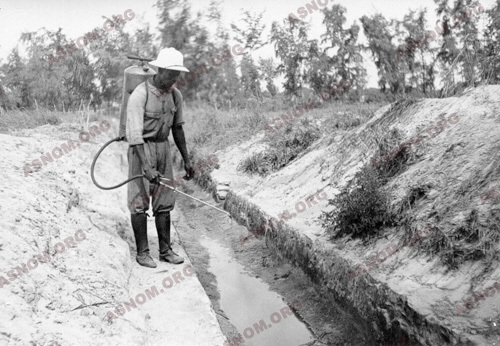 In a territory or a colony the implementation of health care, which is now known as Public Health, was the duty of the Public Health Department where Colonial Army physicians were assigned to positions of great responsibility or to positions where they had to lead or to boost the action. Altogether these physicians nevertheless were only a minority in the staff. A few decades after the achievement of the pacification, all public services in French territories were run according to the same pyramidal organization chart. The French were only found at the head of services and of departments and also indistrict towns. There, they held positions which required the same degrees or the same special skills as in France but this applied only for the highest positions. They had the management, directed and led the actions, set up the training of native personnel, checked and assessed the activities. Gradually some individuals of colonial extraction who had earned the required degrees and skills were posted to these positions. All the other personnel, by far the most numerous, are natives : Africans, Malagasis, Indo-chinese, etc... From diplomed professionnels to simple workmen. They belong to the so-called "senior communal federal" or local" managers. Or else they are auxiliaries, or even day workers. In each colony, in conformity with this scheme, the physicians from the colonial troops ((detached from the army) must set up the health service and see to its good functioning. Exclusively civilian, this service is under the authority of the governor of the colonies and of the Ministry of the Colonies. On the other hand, it has no connection with the military authorities of the territory except in hospitals or in small garnisons where "detached" physicians take care of military patients. 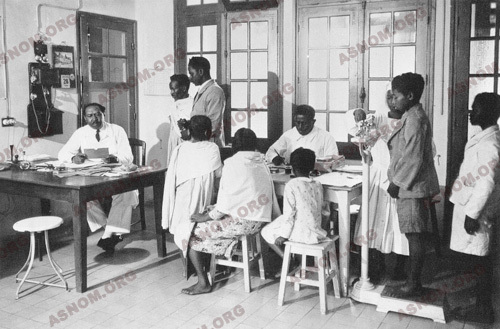 For example, just before their independence in the late 1950s physicians of the colonial army made only about 4% of the number of healthcare professionals in Ivory Coast and Togo (physicians and pharmacists, dentists, midwives and nurses). Physicians who were on duty within the frame of the military or who were retired from the military and on private practice there, are not included in the numbers of those who worked for public health services. In Senegal where Dakar was the "capital" (chef-lieu) of French Western Africa , this proportion was higher and reached 6%. There were also other cogs in the public health services layout : supervisors and management personnel, nurses' aids, workmen and different kinds of technicians, the second group being mostly African. 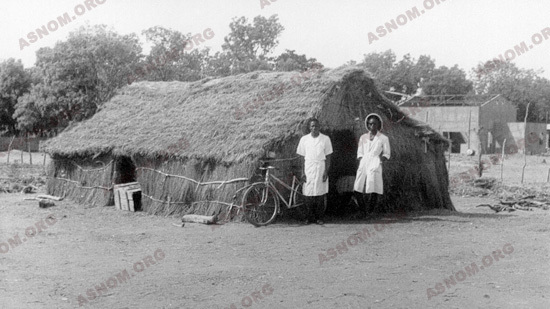 Another example is found with the description of a Mobile Health Unit in charge of controlling sleeping sickness in Cameroon in 1939 by J. de Lostalot*. The physician is usually the only "white" in a caravan. They all are on foot : "The physician hit the road with the twenty nurses of the team and also the other mates who balanced on their heads either crates filled with medical equipment and microscopes or chests with the camping equipment, all together there were more than fifty porters". In the nineteen fifties in sahelian regions trucks were substituted to porters. Mobile Health Units for Treponematoses Control stopped employing as many people as they did before and then beside the physician, there were only 15 to 20 nurses and native workers left. - The African medical officer (until 1945 known as auxiliary physician). Most of the time he was older and more experienced than the French physician who had just arrived and he assisted him in all possible ways. He escorted him when doing rounds or remained on duty in the hospital whenever his "boss" was out of town. Some were in charge of an operating theatre, while some others ran a rural medical facility servicing the people of the surrounding countryside. They were appreciated as go-betweens as they facilitated communication with local populations and chieftains also. They had a much better understanding than Europeans of the hesitations of their patients who so far had been used only to the methods of work of traditional healers. In a reciprocal way they cared for the physician whenever he caught some unavoidable fever or some dysentery. 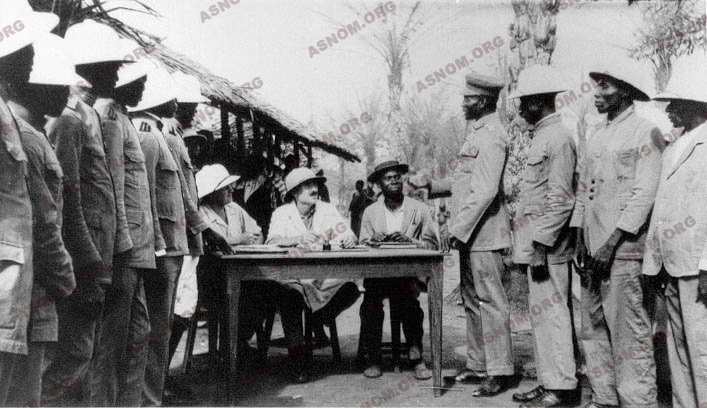 - The African pharmacist (ex auxiliary pharmacist) assisted the colonial army pharmacist in the management of the Colony Central Pharmacy and of hospital pharmacies, in the shipping of medication supplies to healthcare facilities. He also helped preparing dextrose and sodium chloride solutions which were widely used, in the making of parenteral medications and others, and also in the running of biochemistry labs in hospitals and in Pasteur Institutes. He had also to be in touch with traditional healers. - The African midwife (ex auxiliary midwife) : most of the time a strong minded woman who was in charge of running the maternity, of following up pregnancies, of delivering babies and of supervising the wake of labour. She also had to deal with gynecology issues and to care for infants. In maternities which were in capitals there were a few European midwives who were employed on contract, but all other cities and rural areas were served by native midwives. When there were not enough of them, visiting nurses had to take over and in the back country it happened that empiric midwives were also at work. The physician was only called upon for difficult childbirth procedures. Quite often it happened that the physician's wife had to give birth in the very place where her husband was posted and the care and concern of the native midwife were at least as efficacious and comforting as those of the baby's father. - Most of the nurses were men and as in all other parts of the world, they were an essential cog in the smooth running of health services. They made up to 80 to 90 % of the qualified health workers' number and there were 8 to 10 times as many of them as physicians. Beside providing the sick and wounded with nursing care they were also assigned to other diverse duties which were more important than the ones of their colleagues in Europe. At the head of rural medical clinics they were responsible for a few dozens of thousand people who lived in several villages : they cared for patients, summoning some to the physician's visit and referred some others to the hospital. They also supervised the work of the empiric midwife of the village. The Major Endemic Diseases Control Service Teams were kind of doing assembly line work, with some nurses taking samples of blood or of cerebro-spinal fluid while some others who were branded microscopists were looking at smears. As one of their supervisors put it one day :"Ah ! these microscopists with their eye glued many hours to their eyepiece, they have the same visual skill to find a trypanosome among blood red cells as a hunter who is looking for a bird in hiding, deep in the thick foliage of a tree. Sometimes they fall asleep for good but I figure that they would immediately wake up if eventually a trypanosome showed up". The smartest ones became medical assistants : for instance a specialization as "Leprosy Inspector" was set up in order to ensure the accurate diagnosis of suspicious spots and nodules and to initiate the appropriate treatment. The best of them, whom patients often addressed as "doctors" were assigned to more sophisticated duties such as providing general anesthesias, making delicate dressings, performing minor surgery procedures, and even delivering babies. The list of other kinds of personnel is a long one. One should not forget all the agents involved in management with all secretaries, laboratory technicians, drivers, cooks and handymen. Many more levels of the health care system were open to natives where they held positions and worked with competence and dedication, bringing a decisive contribution to the plan of action. They breathed new life into the humanitarian endeavour of the Colonial Medical Corps. As of the mid nineteen thirties, there were many more auxiliary physicians and pharmacists than French physicians and pharmacists and at the time of the independence of these countries, this ratio had even increased. The Colonial Army physician or pharmacist had to show his expertise and dedication and also to display human touch and tact in order to compel native co-workers' esteem and devotion. In return, excepted for a very few instances, in the hospital or on the field of action they did not fail to fulfil the duties as "the boss" had expected them to do. Most European physicians and pharmacists were servicemen on temporary assignment overseas "detached", but a few of them were civilians who were employed on contract. There was a very small number only of midwives and management officers. The number of French nurses was about the same as that of physicians but the size of this workforce was small when compared to that of native nurses they were working with. On the other hand, "African practitioners", nearly all paramedics, management clerks and auxiliaries, handymen were all natives. By and large, their part in the running of their departments was a decisive one. African auxiliary physicians were sometimes put in the same category as French medical officers, who were fully-fledged physicians. Unavoidable clashes and misunderstandings followed which fortunately do not overshadow the success of this training undertaking. It is undisputable that on the one hand the conjunction of all these native health professionals who were persistently present on the field with on the other hand the identical training and conception of work of physicians assigned to run medical facilities, who used to take over from one another every two or three years according the duration of their colonial stint, provided the French health services with continuity and good quality.